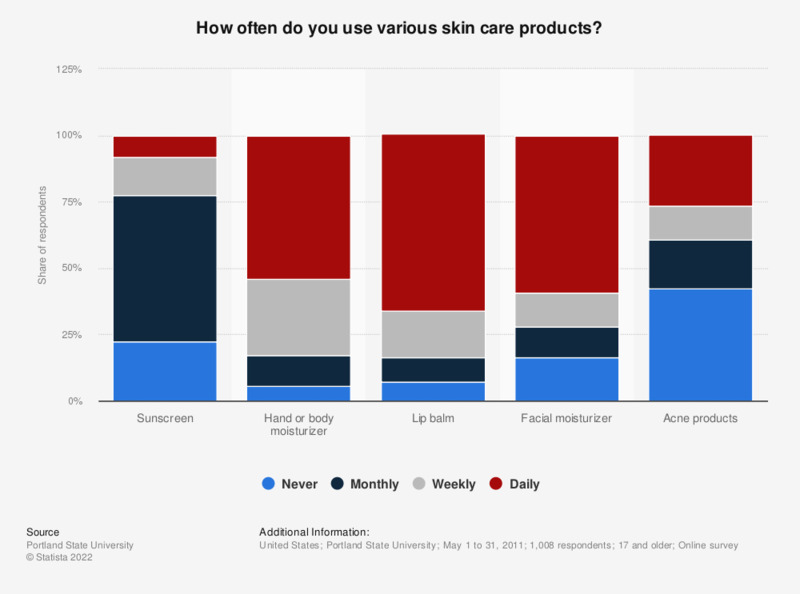 How often do you use various skin care products? This statistic provides information regarding the frequency of use of skin care products by college students in the United States in 2011. The survey results showed that 36.7 percent of the respondents indicated to use acne products daily.